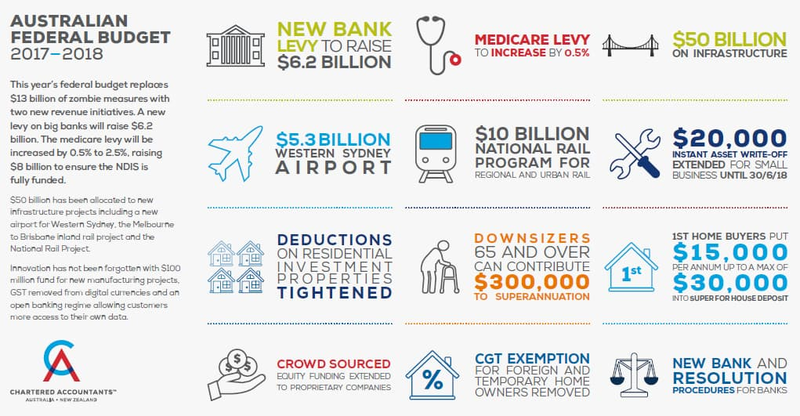 A snapshot of the highlights from the Australian Federal Budget for 2017 – 18 is shown in the infographic above courtesy of the Chartered Accountants Australia and New Zealand. For further in depth analysis, you can download the Thomson Reuters Budget night report here which has been provided courtesy of Thomson Reuters. Our analysis and summary can be found here.